The suggested donation is $25 per person; all donations are welcome! Register now for this 3-day event. Each name registered is considered a "guest" and will be included in the total number attending the program. Please contact Sharon Washburn at 214-696-7067 or Sharon.Washburn@morganstanley.com with questions about the program. 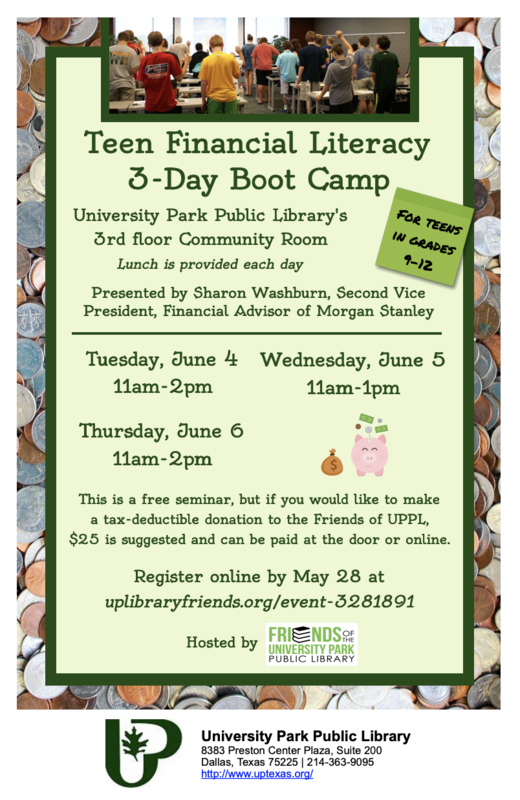 Please contact Friends of the UPPL at foupplibrary@gmail.com with questions about registration.